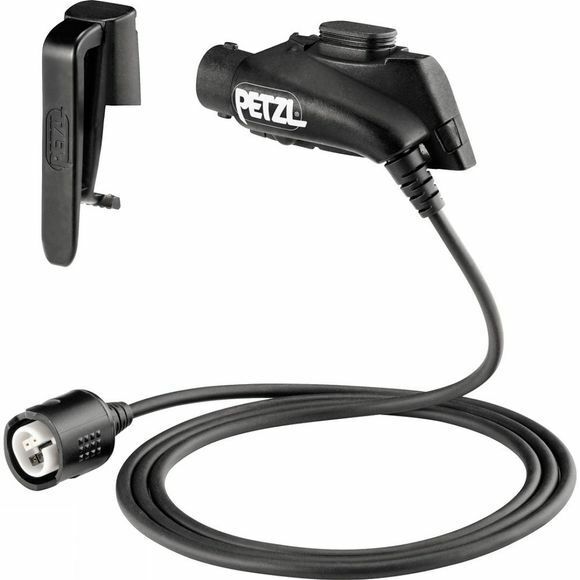 The NAO+ Kit Belt (2016) from Petzl contains an extension cord and clip for attaching the rechargeable battery to a bag, a belt... With the NAO + belt kit, the NAO +'s rechargeable battery can be put in a pocket or on a belt to reduce the weight on the head. In winter, this system protects the rechargeable battery from cold and thus increases its burn time. Clip for attaching the battery to a belt, a backpack.